Buy online our clothing and fashion fabric Crepon Fiorellini K00802. Very light crepon fabric in pure silk powder pink, semi-opaque, with embossed appearance, printed with romantic flowers motif. Suitable for shirt, chemisier, dress. 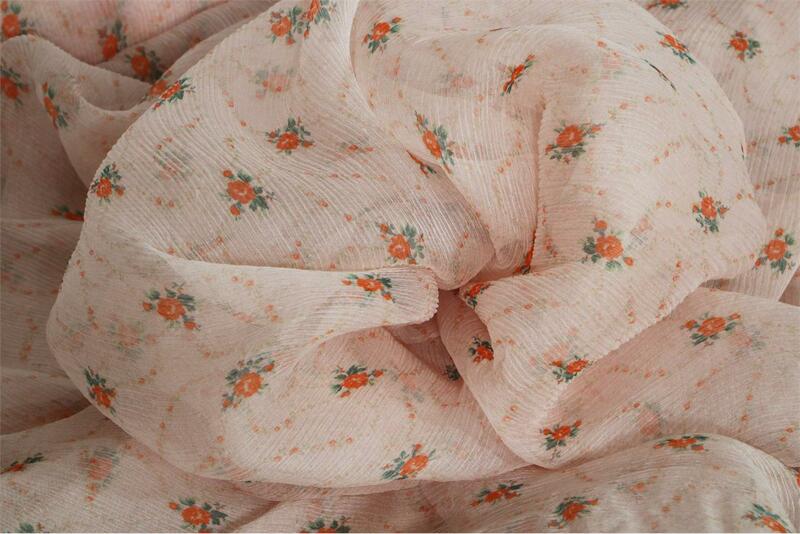 Orange, Pink Silk Crepon Flowers Print fabric for Dress, Shirt.